Looking for a roofing contractor you can trust? Then you’ve come to the right place! Unlike many of our competitors we won’t waste your time with fake sales or gimmicks. We won’t promise you 50 or 60 percent off your new roof. Why? Because we’re not going to insult your intelligence. You already know that it is impossible to receive a 50% plus discount off a roof unless you are being price gouged in the first place. We’re not going to offer you some low-quality tablet or tv to let us give you an estimate. Why? Because when you hire us you are going to get, Quality at The Right Price! The money you will save by hiring a reputable roofing contractor like Anderson Roofing & Home Improvement will allow you to purchase the quality items you want. Interested in dealing with an honest and proven roofing contractor that has your best interest at heart? Give us a call or contact us via our web form. Now, let me tell you a bit about Anderson Roofing & Home Improvement. Anderson Roofing & Home Improvement is an Owens Corning Preferred Roofing Contractor. We are fully insured, and licensed. Our A+ Better Business Bureau rating is a badge of honor that we are very proud of. We provide high quality residential roofing services as well as commercial roofing installations at the right price. As a locally-owned and family-operated business, we genuinely care about delivering high quality new roofs and siding to families and businesses throughout the local community. We have happily served more than two decades as a quality Toledo roofing company. Our vast experience installing new roofs coupled with our large and experienced crew of Toledo roofers ensure quality and speedy completion. In fact, most new roofs are installed in just one day. Whether your project is big or small, simple or complex – you can trust us to get the job done right the first time. Our Highly trained Toledo roofers are waiting to install your new roof! Don't leave your roof replacement to just anybody. 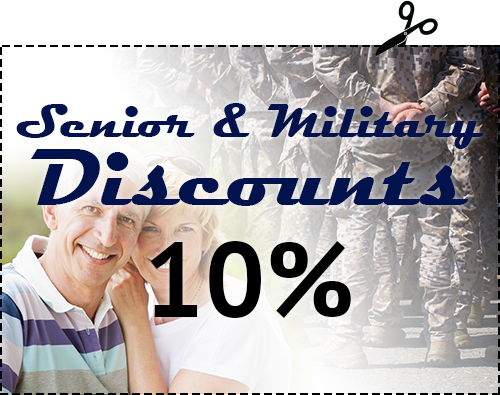 When you enlist our services, your satisfaction is 100% guaranteed. Call us to schedule your Free Roofing Estimate today. "Thanks for the new roof, siding and gutters. Your crew did an excellent job making my old house look new again. We have already recommended you to my mother and a couple of our friends." As a roofing and exteriors contractor with more than two decades in the business we know how to deliver quality products. We get the job done right the first time, every time. Our Toledo roofers can offer you the unparalleled quality, fast turnaround time, and fair pricing that you are looking for. Our extensive experience and history of success as a Toledo roofing contractor have earned us a reputation for being the highest quality and fastest roofers in Toledo and the surrounding areas. We have perfected our techniques which allows us to complete most new roofs or roof replacement within one day. Additionally, we are consistently striving for perfection, looking for ways to increase efficiency and reduce costs for our customers. Do Not Settle For Less. Choose Your Premier Toledo Roofers. Call Anderson Roofing & Home Improvement Today At (419) 836-6070. Not all Roofing contractors are created equal. There are many roofers, roofing companies and roofing contractors to choose from. Of course, a roofer is not the same as a roofing company. Nor is a roofing company the same as a roofing contractor. So, what's the difference? A roofer is generally an installer of roofing materials that works for a roofing contractor or roofing company. Quality roofers are hard to find. Quality focused roofing contractors seek out highly skilled roofers or, train roofers with a focus on their quality expectations. Most roofing contractors start their careers as roofers. Roofing companies are generally large organizations that focus on profits rather than quality and customer satisfaction. A roofing company generally hires one roofing contractor if licensing is required to enable them to work in the area. Roofing contractors are tradesman with many years of experience in the roofing industry. Serious roofing contractors are focused on quality and customer satisfaction above all else. They live in or around the areas they serve and have strong ties to the community. Anderson Roofing & Home Improvement is proud to be the, Quality at The Right Price, roofing contractor. We've had the priviledge of working with many local roofing contractors over our many years working as roofers. We learned the good and corrected the bad. We never worked for roofing companies as they are generally large organizations that focus primarily on profits. We never found a roofing company that was focused enough on quality to offer them our services. We focus on five key principles to ensure we deliver only the best quality and value to our customers. Safety First: We protect your home, business, or dwelling and our roofers through the use of proper protective materials and equipment. Quality is King: We use only high-quality materials coupled with highly skilled professional roofers. This is true for all services we offer. We never use subpar roofing, siding or gutter materials to cut cost or increase our profit margins. Efficient Project Management: Our efficient techniques and management allow us to complete most roofing projects in one day. Customer Service Matters: Our customer service is second to none! We take great pride in assuring our customers are completely satisfied. Continuous Improvement: We are constantly reviewing our policies, techniques, and procedures to ensure we always deliver, Quality at The Right Price! We are committed to be the best roofing contractor in the United States, not just in the areas we serve! Our focus on providing high quality services at affordable prices guides our day to day operations. Our customers consistently tell us how we exceed their expectations. Whether it is our thorough inspection, informative presentation, quality of material, or professional installation our customers are giving us the thumbs up.